all photos taken by me. see more photos here. 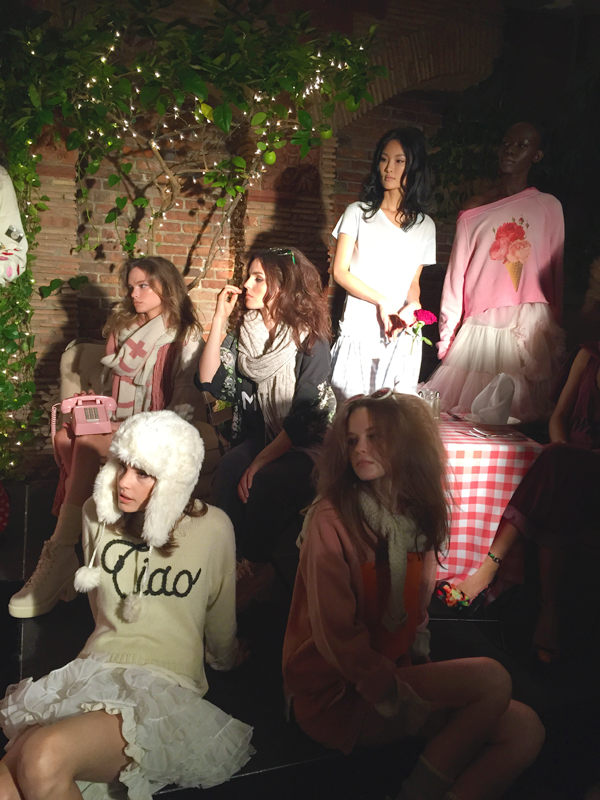 I adore Wildfox Couture. It's just a fun brand that knows how to be cheeky in a classy way. There were a couple of tops I will be pricing once they release like the "I'll be napping" and "Pizza" sweater. I love the overall playfulness of the collection. It has a young feeling to it, some pieces paired together might be to young for a woman like me in her late 20s, like I love the bloomer shorts but paired with the pizza sweater it screams YOUTH. So switching out the Pizza sweater for a oversized knit sweater would work best for me, as I just love those gingham shorts. 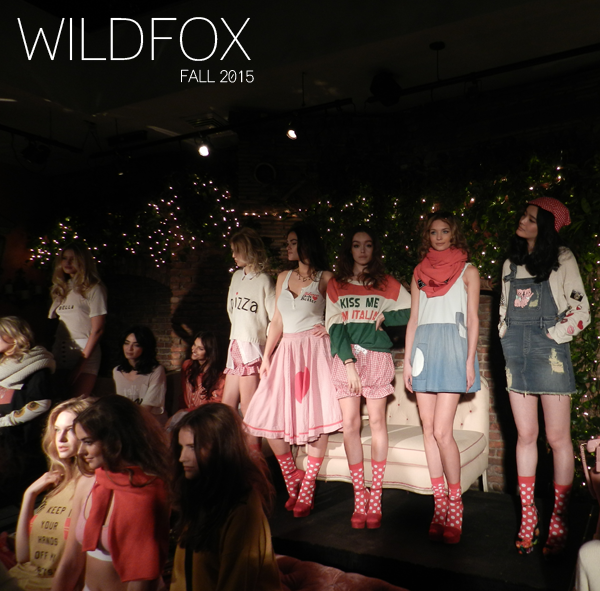 I love Wildfox!! Great post. Lots of Italian goodness! Cute presentation.